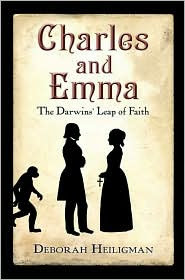 Irtiqa: Emma and the tone of "Origin of Species"
One of the pleasures of “Charles and Emma” comes in watching Darwin, giant of science, grapple with the mundane challenges of marriage and day-to-day life. One day he’s discovering a key to the evolution of species in the beak of a finch, the next he’s buying a house and removing a dead dog from the backyard. When Charles mentions that he and a friend might wish to dine every evening at London’s Athenaeum Club, his fiancée lets him know that if he plans to hit the clubs with his “excellent steady old friends” every night, he’s got another think coming. The issue was especially close to the heart of his intended fiancée. Emma’s beloved sister Fanny had died young, and Emma believed that leading a good Christian life would allow her to reunite with Fanny in heaven. The idea of being parted from her husband — for he, as a nonbeliever, would be heading south after death — might be too much for her to bear. Darwin went to his father for advice. “Conceal your doubts!” Dad said. The son, as sons are wont to do, heard Dad’s advice and promptly did the opposite. In a fireside chat, he revealed all. Emma, the sharp-minded daughter of progressive, free-thinking parents, didn’t see it as a deal breaker. She wouldn’t insist on word-for-word biblical belief, she told Charles, just an openness to the love of Jesus. That, he could live with. Thus began an extraordinary marriage, one bound together by love, respect and a shared lifelong struggle with the question of God. In today’s climate of division between religion and science, it’s instructive to read about a marriage in which the two cultures improved each for exposure to the other. Heiligman’s most revealing insight comes near the end of the book, as Darwin, having developed his ideas in private for 20-some years, spends a feverish 13 months writing them up in “The Origin of Species.” Without Emma, he might well have written a combative, antireligious treatise — “The God Delusion” of his day. Instead, his experience with his wife’s tolerant, reasonable brand of faith led him to temper his tone. I think the last point is crucial. 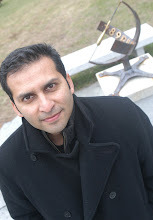 We can also see today a more nuanced approach towards religion by writers who either were themselves religious or have close associations with those who believe. Of course, there are many many exceptions. But in general, unlike the more militant atheists, they see complexity in the reasons why people believe and are more effective in engaging with believers (I'm assuming here that conversations, in general, are more fruitful than shouting at each other). This is the reason why scientists like E.O.Wilson (Evangelical relatives) can communicate and engage with the Evangelicals in the US for the common goal against global warming. It would have been difficult if he considered, and called, all Evangelicals idiots. Remember, this doesn't mean that individual arguments cannot be attacked (such as a belief in a 10,000 year old earth or special creation). But problem comes in when opinions about individual arguments are extended and applied to all those who believe. We have a lot to learn from Charles. The book is for kids - but it looks great. Read the full review here. "Militant Atheists"(MA) allow "Gentle Atheists"(GA) to sound under control and rational and compromising and thus GAs have a larger audience. But another part of the population will joyfully ignore the voices of GA and get away with religious oppression. We need MAs for this. And for most of us, we "choose" to be MA or GA based on our personality type, not because we thought it through. And then we tell how virtuous it is to be us instead of them. "But another part of the population will joyfully ignore the voices of GA and get away with religious oppression. We need MAs for this." Depends on the goal. If the main idea is to spread atheism then you are correct in what you are saying. However, if the aim is to expand scientific understanding, then this may not overlap that neatly. For Darwin, the point was not to propagate a particular metaphysical ideology (irrespective of his own beliefs) but rather to urge the acceptance of a scientific idea irrespective of any one's religious view point. This is where his tone becomes important. Of course, its not all that simple - and many rejected his ideas because they clashed with their religious views. But there were many more that were able to reconcile the acceptance of evolution with their personal beliefs. Had he equated evolution (and science in general) with atheism - the result would have been very different. But then that was not his goal. By the way, also check out here about attitude extremity. I haven't read the original article in close detail - but I think it is relevant to some of the things we are talking about.